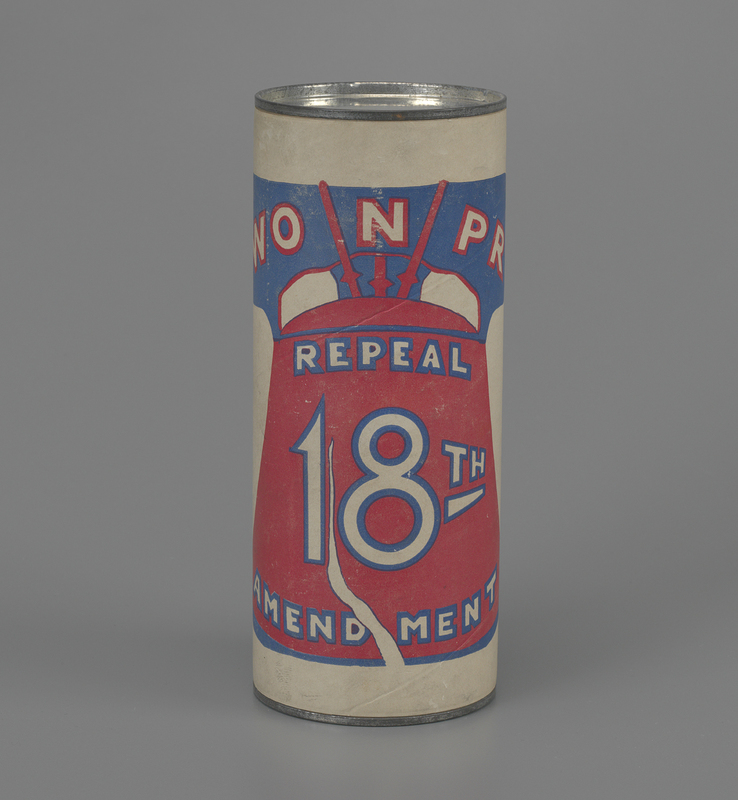 The WONPR did a lot of what we think of now as typical political campaign activities: members attended meetings and gave speeches at rallies, went door-to-door to recruit new supporters, used new technology to spread their message—at the time radio, and lobbied politicians. Wealthy women had founded the organization, and proved able to raise funds even after the Stock Market Crash of 1929 ushered in the Great Depression. From its headquarters in New York City, the organization also gained publicity by organizing events such as a motorcade through New York State. 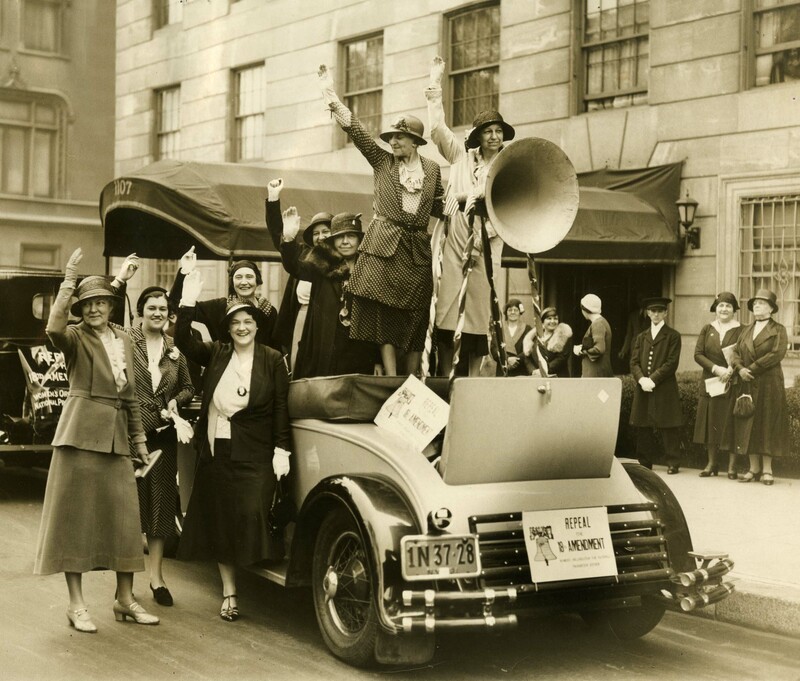 The motorcade left from Fifth Avenue and 92nd street, home of Mrs. Christian R. Holmes (née Bettie Fleishmann), pictured second from right in the top photograph. The WONPR also used consumer culture to push their political agenda. 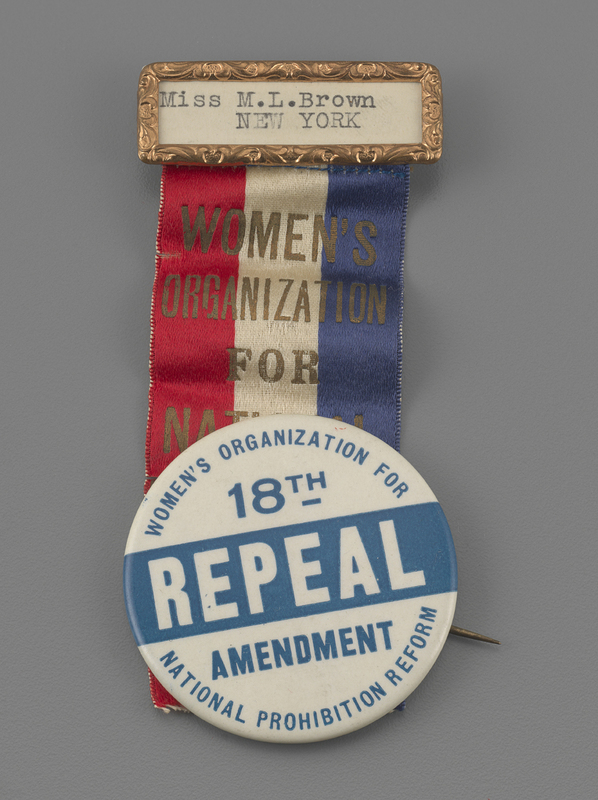 The group opened a “repeal shop” on Madison Avenue in 1932, and another in the elite Bergdorf-Goodman department store, which sold pins, playing cards, neckties, scarves, and other items that featured slogans calling for the repeal of the 18th amendment. 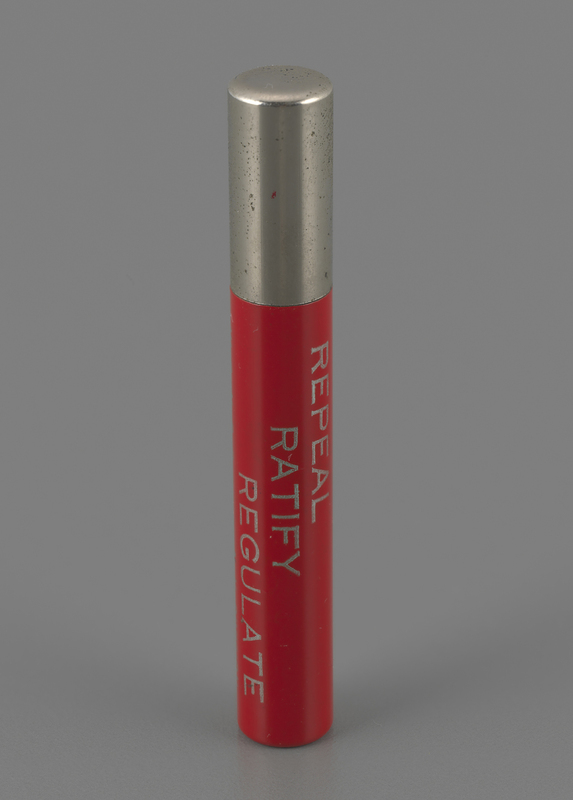 They also sold makeup compacts and cigarette lighters that appealed to the modern woman—and perhaps some flappers—of the age. They auctioned off facials at Elizabeth Arden, to this day a popular item at fundraisers. In 1932 the home was considered to be the woman’s domain, and particularly with the newfound dominance of modern advertising of mass-produced consumer goods in the 1920s, this included shopping for products for themselves and their families. 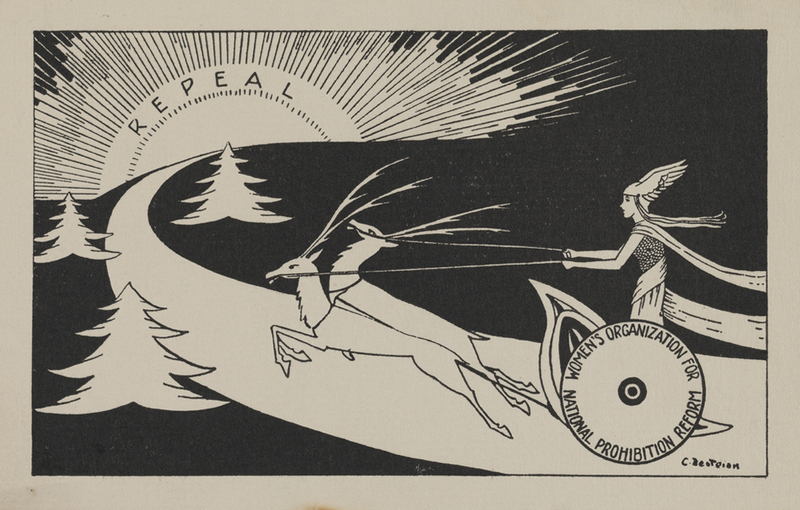 The production and sale of everyday items to fund opposition to Prohibition was part of a broader tradition of women using consumer goods to advance political causes. 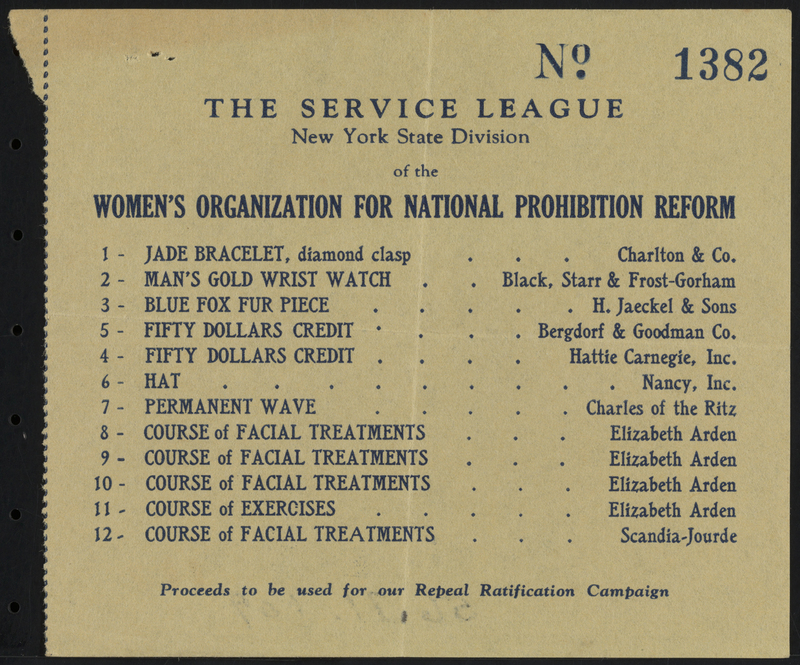 To learn more about the Organization and these materials, take a look at the finding aid for the Collection on the Women’s Organization for National Prohibition Reform. 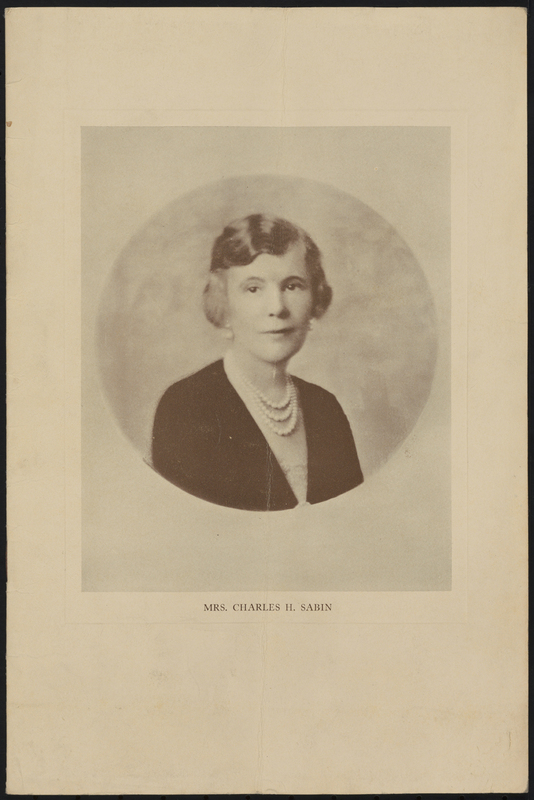 The Collection on the Women’s Organization for Prohibition Reform was processed and digitized as part of Illuminating New York City History through Material Culture, and made possible with the generous support of the National Endowment for the Humanities. 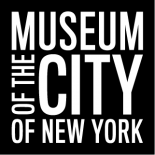 Portions of the collection will be included in “Ratify to Repeal: Protesting Prohibition, 1914-1933,” which will go on display as a new addition to Activist New York on December 19, 2015. 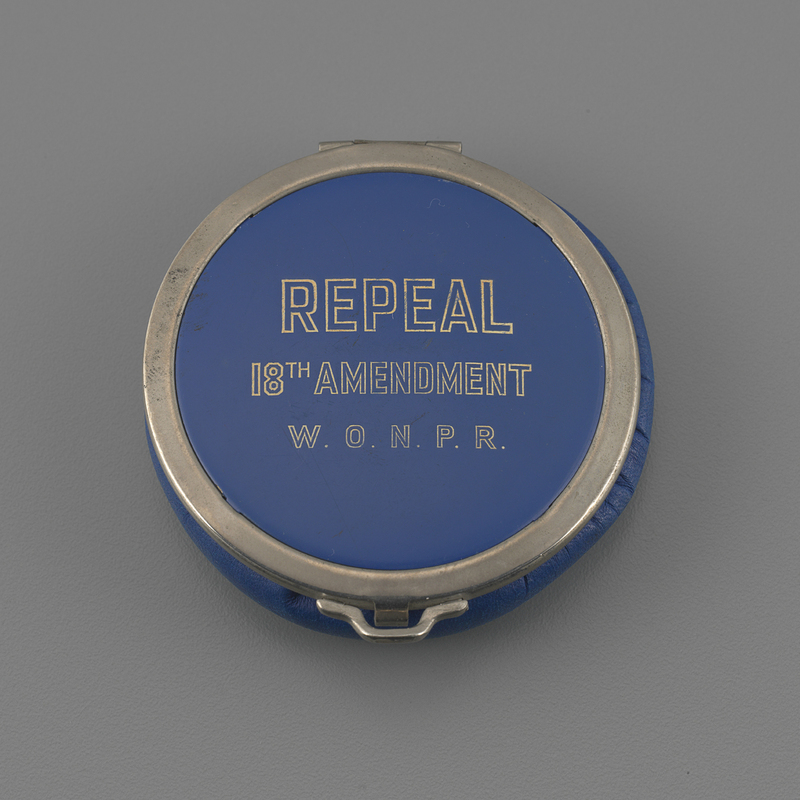 I have a tin I found that is repeal the 18th amendment by wopr. Is there a way to find out what it’s worth is. Museums are restricted by federal law from providing appraisals, but there are professional appraisers who provide these services. Good luck! 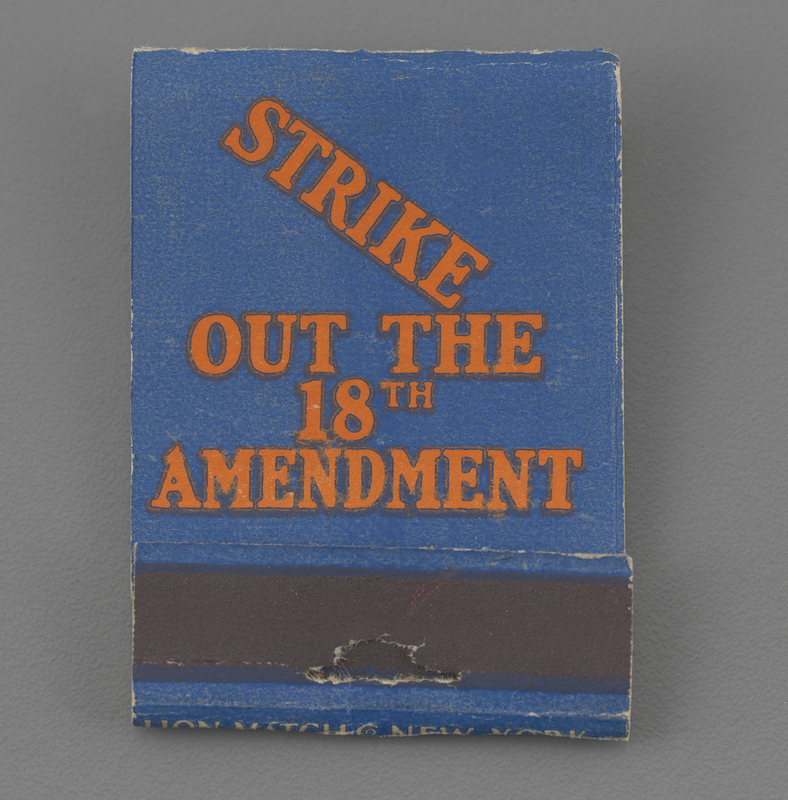 This entry was posted on December 15, 2015 by sarahjseidman in Digital Project, Exhibitions, Manuscripts and Ephemera and tagged 18th Amendment, 1930s, Activism, Ephemera, National Endowment for the Humanities, Prohibition, Puffin Foundation, repeal, sufffrage, women.